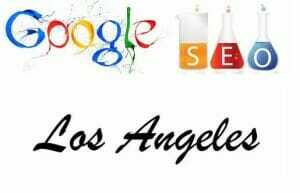 Los Angeles and Ventura has turned out to be an SEO hub with a plethora of SEO companies Los Angeles and Ventura like SeoTuners hiring dedicated SEO experts and Internet marketing professionals. Professionals at SeoTuners ensure that your website wins optimum exposure, attracts traffic of your potential customers or visitors, creates a brand name for your business and catapults your online sales. Here are some advantages of hiring professionals of our SEO company. Advertising your Business: As SEO experts our professionals know how and which sites to employ the right marketing techniques so as to advertise your business among potential audience. Through techniques of Viral Marketing campaigns they ensure that your company is rightly placed and visible on the social networking platforms like Twitter, Google+ and Facebook. We target to make your website searchable as well as interactive by incorporating social media links on it and by linking it to popular websites. Applying the Right SEO techniques: We, at SeoTuners, have all the latest SEO strategies to proffer your website with the desired ranking among Search Engine Pages. The online cosmos is crowded with millions of websites jostling to get to the top. Employing the right SEO techniques is essential to enhance visibility and leave behind indelible impressions on the minds of your prospective clients. Branding: To enable your website gain maximum revenue, it is important to turn it into a brand name which will be remembered by your customers and allure them towards it every time. The greater the number of hits, the higher is the profit that your website earns. Array of SEO Services: As an SEO company we provide a wide range of SEO services some of them being Search Engine Optimization, Social Media Marketing, Link Building, SEO Copywriting, Pay Per Click Advertising and Email Campaigning, Keyword Tuner and Brand Identity Protection. Harnessed with the right knowledge of SEO techniques, we at SeoTuners can help turn your online business into a brand name.